One’s hairstyle is one of the most essential accessories of every man and woman, and which gets to complete and complement the overall appearance. No matter how well you are dressed, you will still need a good hairstyle to complete your look. That's why you need to be careful when choosing a hairstyle to ensure that it matches with your outfit and it is suitable for the occasion. The best place to sample the best hairstyles is during the fashion events in some of the famous renowned fashion cities such as Milan, Paris, London and New York. Since the year is about to end, it could be best to start scouting for your new hairstyles to rock come 2019. Remember, a lot goes into donning your preferred hairstyle including your face type, your color as well as texture and length of your hair. Be very keen on this to ensure that you do not end up looking like a mess. Below are just some of the hairstyles that will be popular next year. The short-haired styles are becoming more trendy and popular among women, especially because of their low maintenance. One such hairstyle is the buzz cut for women. This cheeky short hairstyle is considered a brave lady’s hairstyle, considering it is usually associated with men. Normally, the hair is shaved homogeneously to a bare minimum and worn very short at all times. Buzzcut has grown in popularity owing to the fact that many female celebrities have chosen to don it on several occasions. Kristen Stewart, Amandla Stenberg, Katy Perry, Kate Hudson, Zoë Kravitz, and Kathy Griffins are some of the famous people to popularize this buzz cut. Despite, the fact that it has been donned by celebrities, it is not suitable for every lady. By and large, the buzz cut fits perfectly those ladies with soft facial features and who have the confidence to pull it off. To spice it up, you can get to add some little makeup and elegant but simple accessories. However, it is important to note that with a buzz cut, you are left with very minimal styling options. So, to tweak it, you can opt for different hair colors or tattoos. The short straight casual pixie hairstyle has been popular with many women for many years now. It is quite a simple hairstyle to rock, but it can also be challenging if not done appropriately. Usually, the hairstyle is tapered into the head, with the top of the head having many long, fine layers that get to frame up the face. Additionally, the back and sides of this hairstyle are tapered into the head with fine layers also getting to frame the face. The hairstyle is highly recommended for those with dark hair to achieve a more edgy look. Also, if you have a triangular or diamond face shape, then this hairstyle is best for you since it will give you an oval effect. Furthermore, it can be donned by women of all ages and preferably with glasses. To pull out this look, then it will be good to have your professional stylist handle it for you. This hairstyle is a favorite for many blondes and it is destined to be rocked more in 2019. This style is very simple to pull off as you will just need to blowout and straighten your hair to achieve that sleek and smooth look. To achieve a nice blowout you need to start by caring for your hair. Your hair needs to be in top shape on a day to day basis. Proceed to wash your hair to remove the dead cells, sweat, and dirt using high-quality conditioner and shampoo. Dry your hair with a towel to remove as much water as possible, but leave it a little dump though. Divide your hair into sections and blowout each section one by one. Keep your hair from tangling. Once you are done, you can blast cold air quickly and a hairspray to hold it together, then proceed to bob your hair. This bob hairstyle is very ideal for women who have fine or thin hair since it helps create volume. It comes really good with blondes, but it can also do well with other hair colors. Moreover, regular trimming is necessary to maintain this hairstyle. Contouring your nose, forehead, and cheeks is essential to create that perfect shape. Remember, your forehead is the main focus when donning this hairstyle. Casual bob is recommended for women of all ages and those having round, oval, heart or diamond face shapes. Men's hairstyle trends have been growing in terms of versatility. Nowadays, there are lots of options for men to choose from due to the hairstyle diversity whether it is short or long. Spike hairstyle is one of the men's hairstyles that will still be donned by many men in 2019 due to its simplicity. Damp hair, hair products and the help your fingers are all you need to pull this hairstyle off. It is considered the hairstyle for lazy men as it is low maintenance. The good thing is that you will not fall short of looking stylish. For men looking for a very simple haircut without having to add any extra or extreme patterns, then this is the style. Short bangs hairstyle will still be popular in 2019 for those men who value having their heads filled with hair. To rock it up, you just need to cut the hair into medium size and spice it up with extra bangs. The good thing is that it does not require time or effort to pull it off. It goes well with just about any outfit whether official, casual or semi-casual outfits. If you happen to have thick and curly hair, then this should be the style to rock for the better part of 2019. 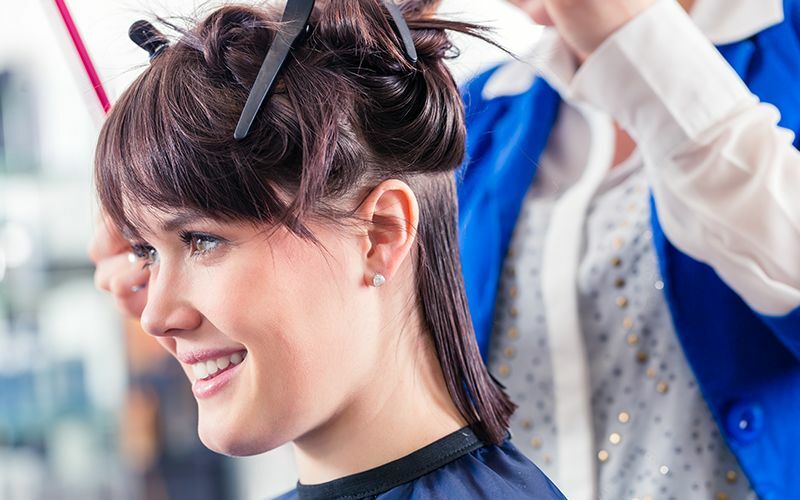 Other popular hairstyles that will continue to be rocked in 2019 include popular Ivy League, Caesar, Pompadour, and the buzz hairstyles.